If you are willing and able to give a needy dog a permanent home, you may want to consider Standard Poodle adoption. Poodles are highly valued as family pets, and their intelligent and cooperative natures make them nearly ideal companions. Learn what you need to know about the breed before you decide if adopting a Standard is the best decision for you. If you are contemplating Standard Poodle adoption, you owe it to yourself and your potential new companion to understand this breed's needs before you bring a dog home. Standards are generally happy, outgoing and intelligent pets, but they also require a bit more maintenance than the average dog. That said, your efforts will be well rewarded because you'll find you have a very loyal and loving companion that will truly feel devoted to you. Here are some of the most important aspects of Poodle ownership to be aware of. Standard Poodles are fairly large dogs with a great deal of energy to spare. Yes, they will gratefully spend hours at your side in calm companionship, but they must have time to run and burn off their excess energy to stay mentally and physically fit. A bored Standard that has been cooped up for too long may become unruly and destructive, so make sure you can provide plenty of exercise if you plan to adopt one of these dogs. Poodle hair grows continually throughout these dogs' lives, so they will need trimming on a regular basis to avoid becoming shaggy messes. Since loose hairs collect in the coat instead of falling out completely, these dogs should be brushed at least every other day to prevent mats from forming. You can easily brush your pet at home, but trimming is best left to a professional groomer who also has the facilities to bathe the dog. Poodles make wonderful companions, but the breed is unfortunately prone to some very serious health conditions. Some of these conditions aren't evident until after a Standard has reached maturity, so it can be difficult to predict a dog's future health without testing for some of these conditions. Bloat - This condition causes excessive production of gas that causes the stomach to bloat far beyond its normal size. For reasons unknown, the stomach begins to twist and closes off its blood supply as well as its ability to empty its contents into the small intestine as it normally would. Bloat happens suddenly and can be fatal if it isn't treated in time. Many dogs still die from bloat even if they do receive treatment. Sebaceous Adenitis (SA) - This is a skin disease that can surface at any time if a dog carries the recessive genetic trait for it. Symptoms include flaky scaling, balding and itching if a secondary infection sets in. The condition is chronic, and an infected dog will need life-long treatment to manage the condition. Dysplasia - This is a deteriorative condition of the hip and elbow joints that produces pain and limited mobility. The condition is chronic, and it's treated with anti-inflammatory medication to help manage the pain. Dysplasia is diagnosed through x-rays. Von Willebrand's Disease - This condition is similar to hemophilia in people and it causes excessive bleeding if the dog is injured. The condition is diagnosed through a blood test. Addison's Disease - This disease hampers the function of the adrenal gland. The symptoms it produces are so general that it takes a long time to identify Addison's. This disease is chronic, but with proper treatment, a dog with Addison's can live a fairly normal life. There is no single test for this disease. Certainly, not every Standard Poodle is sick or on the verge of becoming ill. However, it's important to be aware of the most common diseases that affect this breed in order to make an informed decision about whether you're prepared to handle such an illness if one surfaces after you adopt a Poodle. Although you may find a Standard Poodle up for adoption at your local animal shelter, you may want to seek out a breed rescue that specializes in Poodles. Even though you're adopting, you will still pay a fee that helps cover standard veterinary treatment, including vaccinations and spaying/neutering. The fee to adopt a Standard Poodle typically runs between $300.00 to $600.00. With a dog like the Standard Poodle, it's very unlikely you will find poodles for free from a rescue group or someone attempting to rehome their own dog. The financial costs of owning a Standard Poodle means it's much more likely even individuals looking to place their dog will ask for some type of fee to make sure they are going to a home that can afford their level of care. Here are a few resources to help your national search. Many states do not have a specific Poodle rescue, such as Illinois, Texas, or California. Poodle Club of America - This is the national breed club that is sanctioned by the American Kennel Club (AKC). There is a section of the site where you can look up breeders and rescues for Standard Poodles. Even if you want to rescue a dog, reputable breeders are still a good source as they do take in dogs needing homes and will foster until a new adopter is found. Poodle Club members who are competitors are also a good source as they can give advice on the breed and may know of dogs that need rehoming from private individuals. Petfinder - Petfinder is an all-breed national rescue site for people seeking all types of pets for adoption. Their search feature allows you to look for Poodles based on breed and your zip code. You may find Poodles in shelters and rescues not specifically dedicated to just poodles. Adopt a Pet - Similar to Petfinder, Adopt a Pet lets you search shelters and rescues nationwide based on your location and desired breed to find Poodles that are near your home for adoption. 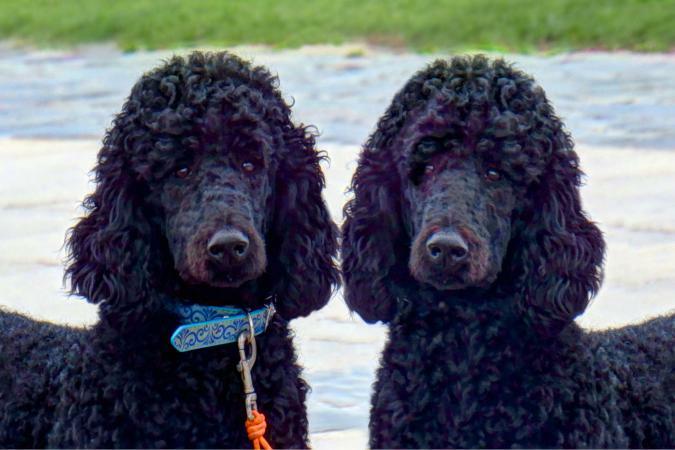 Standard Poodle Rescue is located in Florida but they can adopt dogs out nationally. 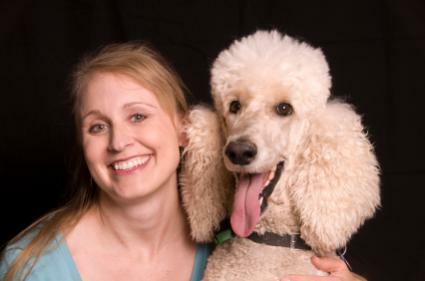 Carolina Poodle Rescue is a private non-profit organization that houses their Poodles for adoption at one physical facility in South Carolina, as well as dogs in foster homes in other states. If you provide transportation, Carolina Poodle Rescue will adopt their dogs to out-of-state homes. Picket Fence Poodle Rescue and Re-Home is a private group that keeps poodles for adoption in a home environment in Minnesota. Mid-Atlantic Poodle Rescue is an all-volunteer group that places Poodles in homes in the Mid-Atlantic states such as New York, New Jersey, Pennsylvania, Delaware, Maryland, Washington DC, Virginia and West Virginia. The adoption process includes an application, an interview and most dogs require a fenced yard and homes without an electric fence or children under the age of six. Poodle Rescue Connecticut places dogs in the New England area including Maine, Vermont, New Hampshire, Massachusetts and Rhode Island. In addition to Poodles, they also find homes for several other breeds. Standard Poodles wind up for adoption for many reasons. Sometimes an owner's circumstances change and that person can't keep his or her pet. In other situations, behavior problems or illness may cause an owner to surrender a pet. Don't hesitate to question the staff of the rescue organization about why the dog is up for adoption and whether they have taken any steps to correct or treat any issues the dog might have. A reputable shelter will give you all the background info they have on each dog in order to make the best match between a dog and its potential new owner. If you're fully informed about the animal you're interested in, you can then decide whether or not the adoption is right for you.